Introducing Jerseys to the herd to help meet a new milk contract opportunity prompted one Ayrshire farmer to seek out alternative ways of getting sufficient fibre into his ration. But a switch to nutritionally improved straw has worked so well, he’s now using the feed across all his dairy rations to maintain rumen health, intakes and butterfat. Managing 240 year-round calving cows on 390 acres near Auchinleck in Ayrshire with up to 1.4 metres of rainfall a year means Robert Sloan faces constant challenges with getting his cow nutrition just right. 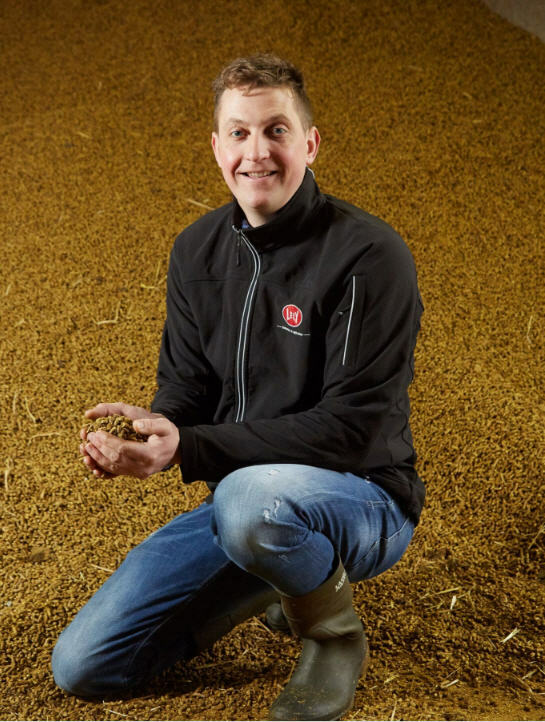 The climate at Darnlaw Farm, which he runs along with parents Bryce and Anne, rules out maize silage, and the short season limits him to just two cuts of high quality but relatively low dry matter silage. This can leave the ration short on fibre, a problem Robert and his nutritionist John Barnes work hard to correct. 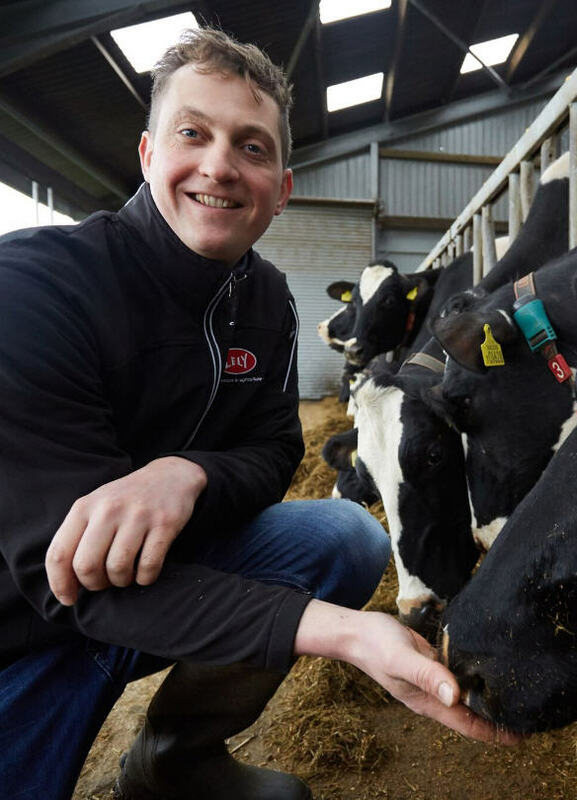 However, a recent opportunity to supply a new market for added value dairy products led to a change of approach for the family, with numbers in the Holstein herd reduced to make way for a new Jersey herd – and an unexpected discovery, Robert explains. We used to be all Holstein with high-yielders kept inside and milked through two robotic milkers we installed in 2012, and low yielders turned out in the grazing season and milked twice a day through the parlour. We decided to keep the parlour after the robots were installed and it’s proved useful for flexibility. “We typically fed a simple ration with 60% forage which was a combination of grass silage plus a small amount of wholecrop wheat silage, the only home-produced part of the diet. This was mixed with distillers’ grains, alkali-treated wheat, blend and a rumen buffer, with 1-1.25kg chopped straw and molasses added. “This worked fine although we always felt the cows were on a knife edge with acidosis. They could be lethargic sometimes and the dung was inconsistent. 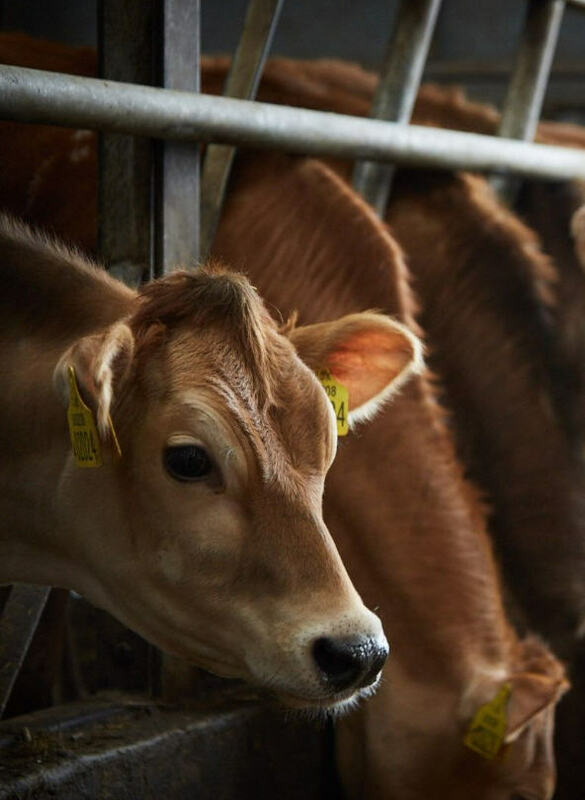 We would typically get a cow suffering with acute acidosis once every few weeks,” says Robert. However, last year a new milk contract opportunity for added value dairy products meant a change of approach – which turned out to have unexpected benefits. “We wanted to take up the opportunity of supplying this new contract for higher fat and protein milk, so trimmed back on the numbers of Holsteins and bought 50 in-calf Jersey heifers last April to calve down on the farm over the summer and keep on a more grazing-based system,” Robert explains. The goals for silage-making last year were to produce enough from first cut to feed the Holstein cows year round and the Jerseys during their housing period from 1 October until 1 May. The second cut would be solely for youngstock. But from the start of housing last year, the Jerseys were very picky about eating straw. After each milking, they’d be fed TMR but would sort out the straw each time. We started to get very concerned about the low levels of fibre the Jerseys were taking in so needed to find a better solution than just adding chopped straw to the ration. 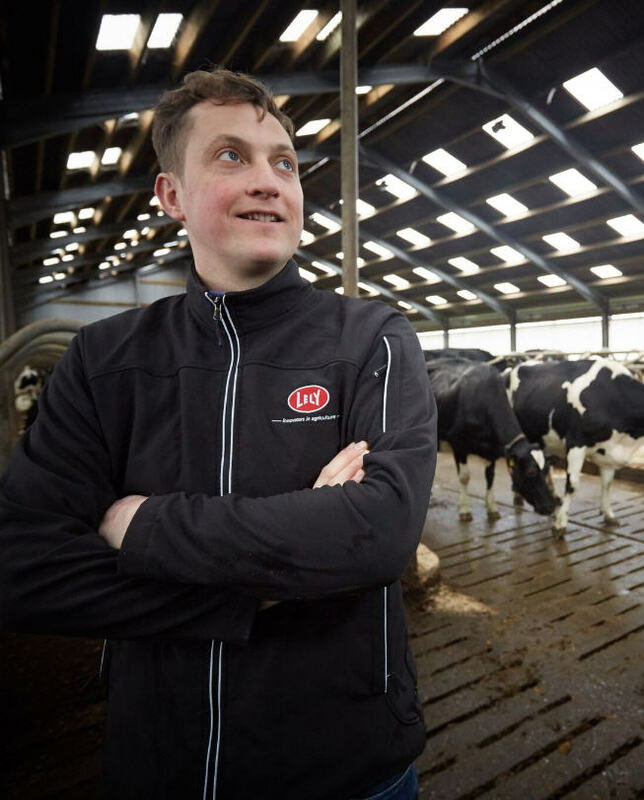 Reading reports on social media from Northern Irish Holstein breeder David Irwin about using nutritionally improved straw (NIS) in his Redhouse Holsteins herd prompted Robert to investigate the potential for replacing all the straw in his diet with NIS, to see whether that would cut the level of sorting. In fact the Jerseys were performing so well on the modified diet, John decided to try some changes in the Holstein ration shortly after. The results were immediately noticeable, says John. The cows started eating more forage. Dry matter intake rose by over 0.5kg. Yields increased from around 34-35 litres to around 38 litres without any reduction in butterfat, which stayed steady at 4.1%. And dung consistency improved markedly with cases of acidosis virtually disappearing, leading John to remove the rumen buffer from the ration. This resulted in a far more efficient trough mix with fewer lower yielding cows being over-fed. Now the cows are on target to achieve 305-day yields of 11,600 litres at 4.1% butterfat and 3.1% protein for the Holsteins, and 6,000 litres at 6.4% fat and 3.9% protein for the Jerseys. Robert says rumen stability has made a big difference to cow performance in allowing the ration to work harder. “It’s making best use of my good, but fairly wet, silage and means we can make small tweaks to the diet as we go along. “There’s a saving in time and storage space too. Previously we’d buy in wheat straw at £90/tonne then have to store it. Each day we’d put it in the mixer wagon first so it had 20 minutes to chop before we added any other ingredients. Then the cows would still sort it out! Now I’m getting a better financial return from NIS because it’s cut out the waste and the cows are performing better,” adds Robert.